Thanks to this newest accolade, the Riviera Nayarit confirms its place as the second tourism destination with the most luxury hotels in all of Mexico, with 14 resorts having laid claim to AAA Diamonds. Just five months into its inauguration the Hotel Iberostar Playa Mita has already received the American Automobile Association’s (AAA) Four Diamond award. Located in Litibú in the Fonatur development that is part of the Punta de Mita ejido—an area that has been tagged as the exclusive Glamour Peninsula of the Riviera Nayarit—this resort (categorized as Gran Turismo) continues to reinforce the area’s positioning as the second tourism destination in Mexico with the largest number of luxury properties. 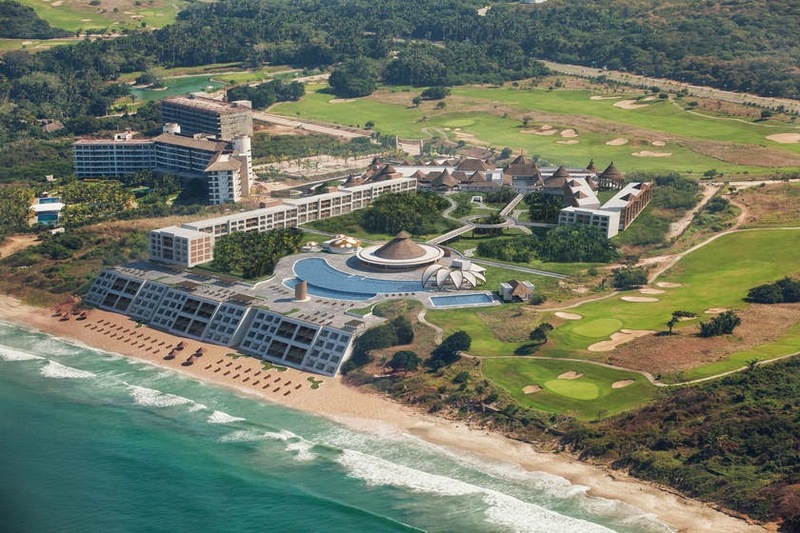 “The Riviera Nayarit is turning into a very sought after destination with the opening of the new Iberostar Playa Mita, which is taking the lead in the region’s growth,” said John Long, VP of Sales and Marketing for Iberostar. Every year, AAA reviews hotels based on ample criteria including quality, the range of facilities and the level of services offered by the property. The Iberostar Playa Mita is the fourth hotel in the Iberostar family to receive this accolade in Mexico and the sixth around the world. “The AAA Four Diamond award is a testimony to our commitment with excellence, with our guests and to this thrilling region on the Pacific Coast,” added Long. AAA reviews over 29 thousand hotels a year but only 5.3% of those make it to the exclusive AAA Four Diamond list, which highlights even more the importance of the brand not only in the region, but also within the all-inclusive industry as a whole. There are a total of 14 hotels in the Riviera Nayarit that have already received Diamonds for quality and service. Only the St. Regis and the Four Seasons, both located in Punta Mita, and the Grand Velas in Nuevo Vallarta, have the AAA Five Diamond Award. The other 10 hotels with AAA 4 Diamond Awards in the Riviera Maya are: Grand Mayan, The Grand Bliss, Grand Luxxe, Hard Rock Hotel, Riu Palace, Marival Residences, Dreams Villamagna, Villa la Estancia, Casa de Mita, Hotel Cinco and now the Iberostar Playa Mita. Of note: the Riviera Nayarit is also home to one of the only four Relais & Chateaux properties in Mexico: Imanta Resorts Punta de Mita. The Riviera Nayarit’s fantastic hotel infrastructure has placed it among the top destinations in the country. Besides having a selection of four- and five-star properties, it has 15 Gran Turismo resorts and another four that are denominated as Special Category.